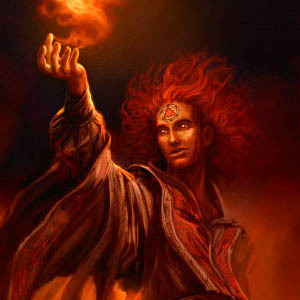 Leilon Firewind is the king of the Phoenix Collective. Leilon married Queen Aiko Firewind when she was a mere suitor from the House of Flashbranch. They grew to love each other and happily rule as a unified force. It is said that Aiko is actually the more vivacious and often more hostile than her husband, but his stoic personality makes them a danger adversary.